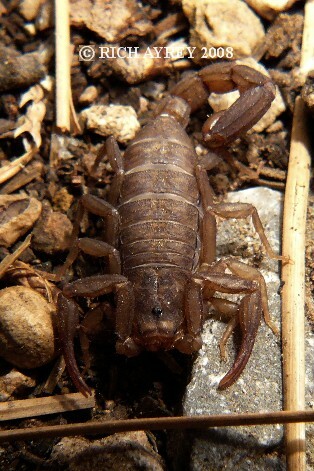 Photo of Vaejovis vorhiesi found in the Huachuca Mountains of Southern Arizona. I am fortunate to have such pics available. This Flagstaff, Arizona Sky Island Scorpion page created 06/25/08.